Coffee in hand, I spent the first part of the morning in the porch, with a stack of quilting books to keep me company. I've been on the hunt for pattern inspiration for an upcoming quilt I'm planning. 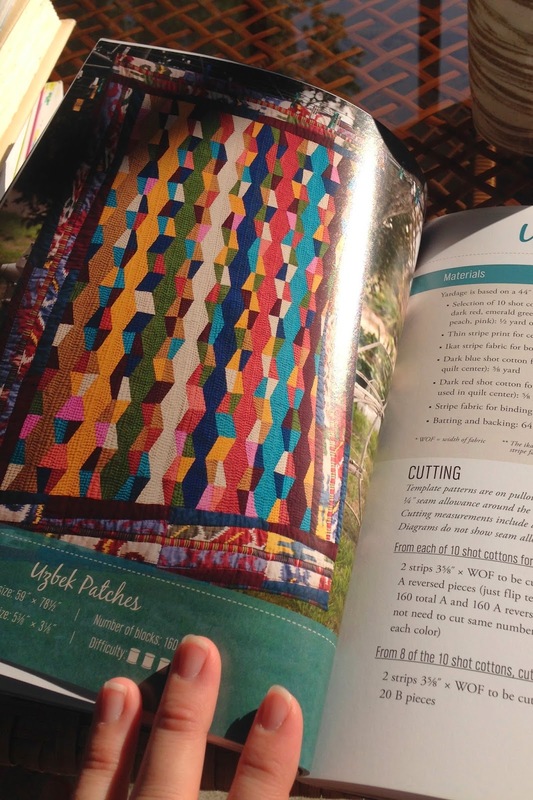 And even though I didn't find any ideas for that particular quilt, I didn't make it past the first book. 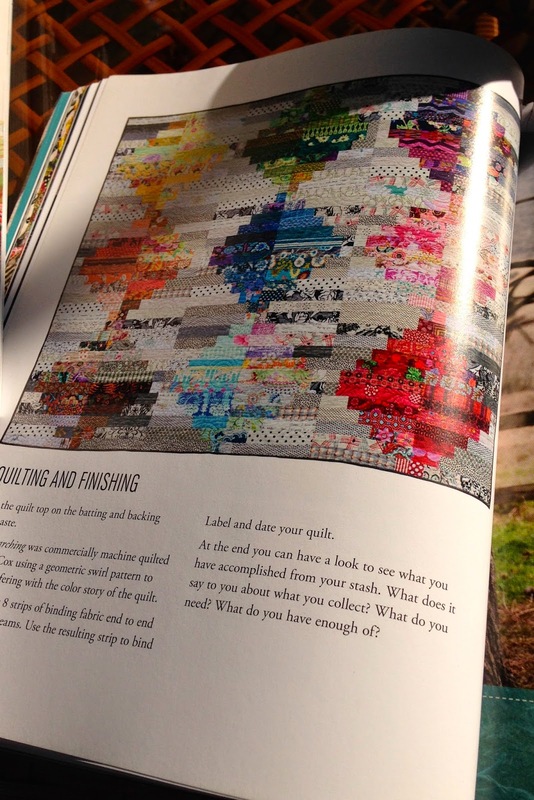 Usually when I am in this mindset I go to the bookshelf, pull out a stack of books I think will have the kind of quilt-inspiration I'm looking for, and then page through them fairly quickly, looking for ideas to jump out at me. But something about the book itself and the quiet of the morning led me to slower perusing. 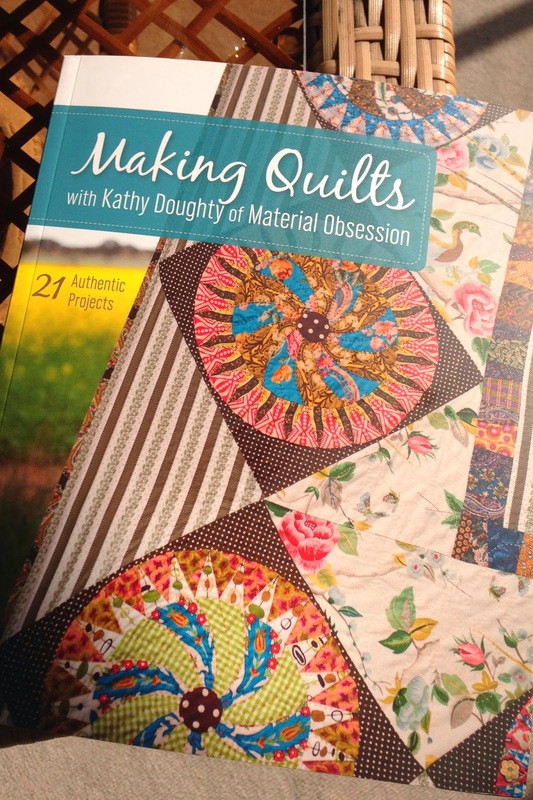 I'm not sure what it is that draws me back over and over again to books by Kathy Doughty and Sarah Fielke (of Material Obsession fame), as I don't usually want to make the same quilts they've made, but I often find that at least one of the books they've authored together or individually is one of the firsts I pull off the shelf. And today was no exception. Making Quilts totally hit the spot this morning. Filled to the brim with ideas by the time I got to the last quilt, I left the rest of the stack untouched and went straight to the computer to capture my ideas. 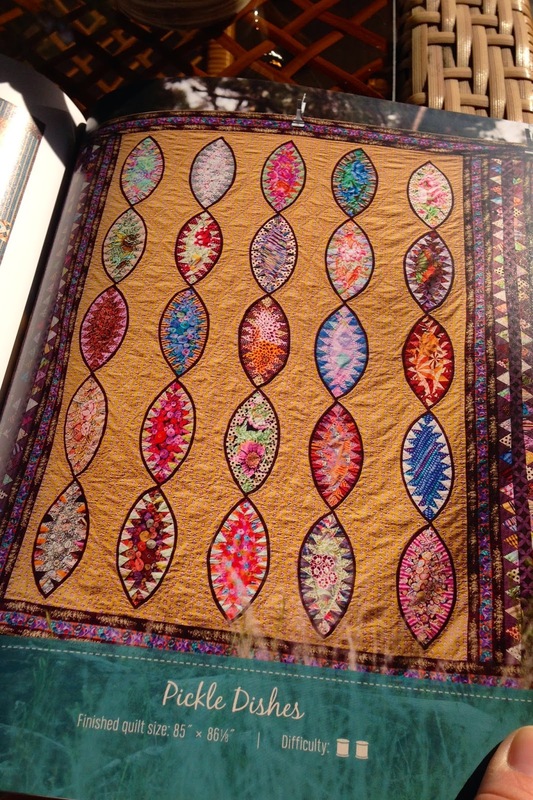 Some of the quilts I just enjoyed looking at, and some gave me ideas for future projects. I love the wonky flying geese in this one. I'm not sure when, but at some point in the future I have plans to try my hand at complicated circle blocks. 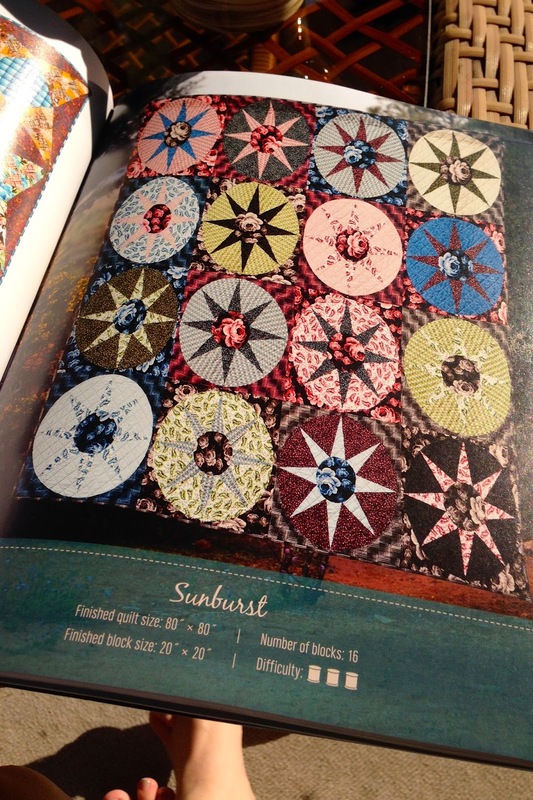 More circle-inspiration favorites: Camelot quilt and Jen Kingwell's designs. 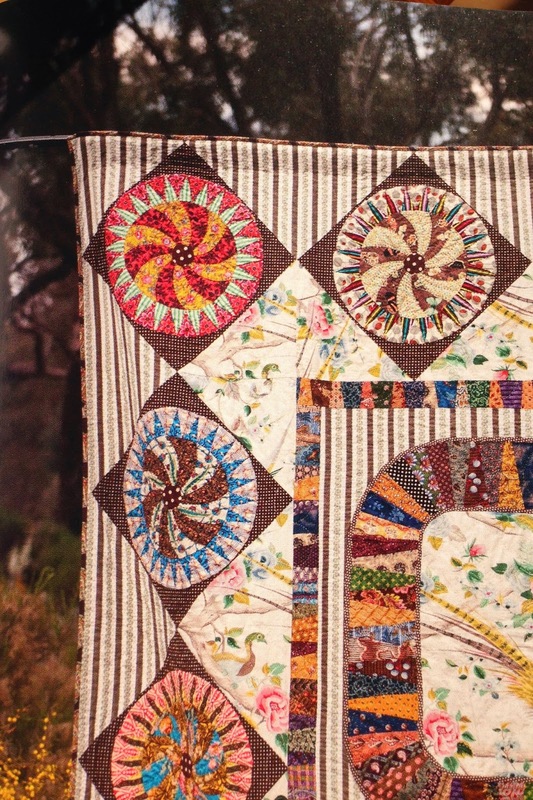 I'm feeling particularly inspired by this quilt. I love the cheddar background. I love the handmade look of the appliqued pickle dish blocks; the combination of such precise piecing with each block just slightly different in overall shape from the next. Each perfect and yet imperfect. 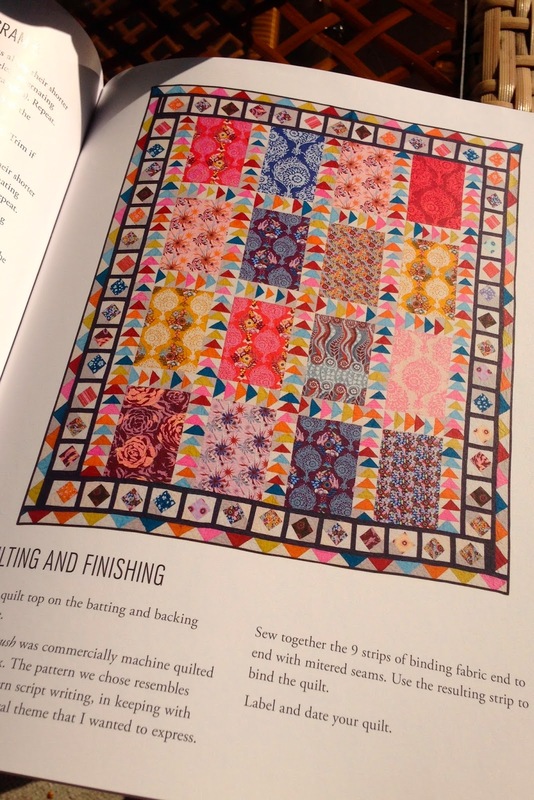 Oh yes, I want to make this quilt. And then another strike of inspiration. 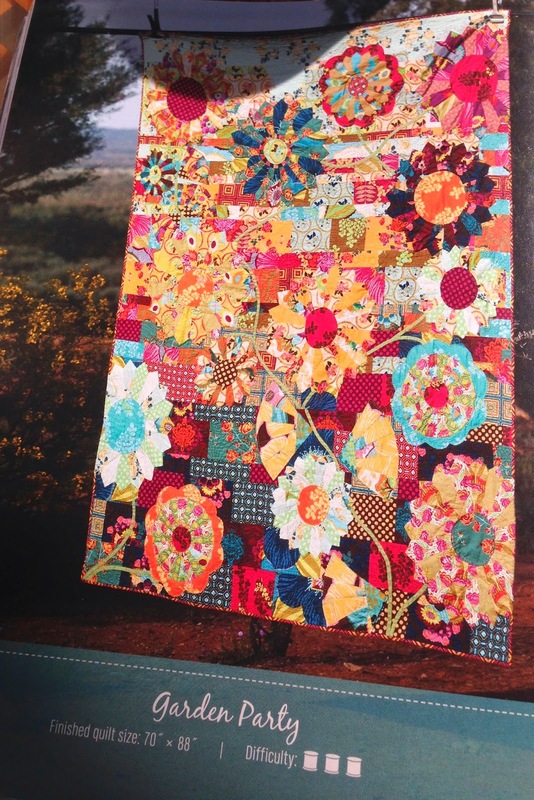 I love this quilt; I cannot help but think what a perfect picnic quilt it would be. And I had to run and grab the FQ stack I've had for at least two years, the one that's been waiting to become just such a quilt. And again I think yes, I must make this! 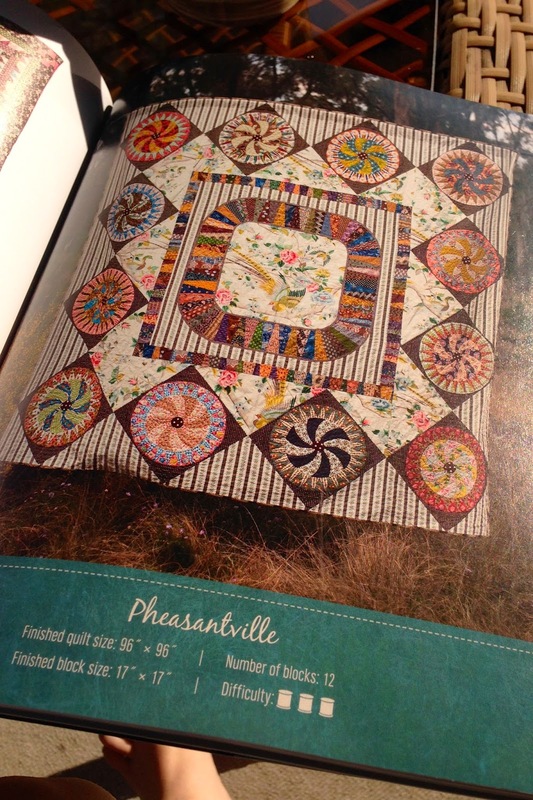 An album quilt; this too is on my someday list. 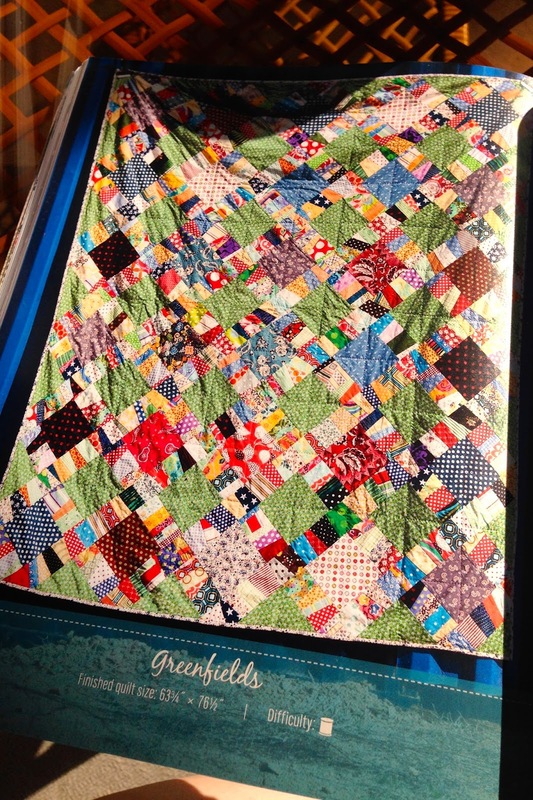 Not this exact quilt. 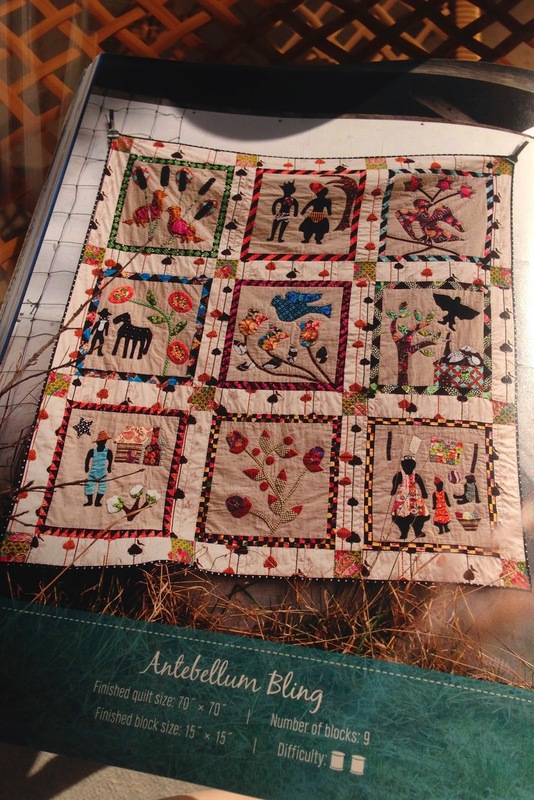 Album quilts feel too intimate to make the same as another. They tell stories, and mine will tell my story. Someday. And last but not least, something bold and bright and beautiful to leave you with. I am energized and filled up; ready to make and create. I can't start any new projects just yet, but I love having all these ideas brewing in the background, pondering and planning what they will become.